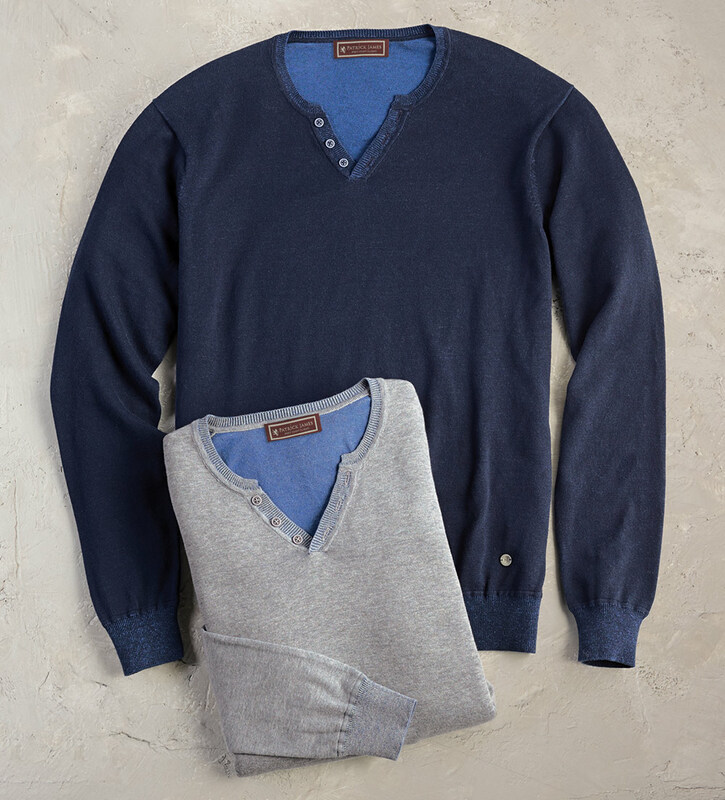 Classic solid in soft, 100% cotton reversing to antiqued look with visible seams. Long sleeves, V-neck, three-button detail, rib cuffs and waist. Dry clean or hand wash. Imported.